By voting on the books listed, you can help to determine whether a book is related to the theme of India-Passions, or whether it is a non-related, but popular, book among the members of the site. If you believe a book in the list below is 'on theme' with India-Passions, vote that it is relevant. (If you don't know, just skip it.) 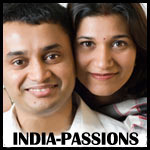 Over time, we hope to have a library of books that should be of interest to India-Passions members. Describes the physical characteristics, habitat, and behavior of slugs, slimy creatures that spend their lives crawling on their stomachs.